After humble bragging about this on the social media, it was suggested that I say what my favourite books are (excellent suggestion!). Since one of my superpowers is turning a good idea into a bunch of extra work for myself, I thought it’d be fun to do a blog post about my fave books of 2017. I admit that this was the first book I read in 2017 because I had to read it for a course and they didn’t send the reading list until a couple weeks before (rude!). I had a lot of mixed feelings, partly because of the short notice, but mostly because this book is amazing and full of amazing gems - stories, research, tools, etc. - and I read it much too quickly because I am a type A person who respects all deadlines, to my own detriment. In any case, there is lots of be read about trauma these days, but this book is The One Place to Start. If you are going to read one book about trauma this year, make it this one. I know, reading about trauma sounds like a bummer. And it is - knowing how widespread adverse childhood experiences are is a super bummer. But it also explains SO much about our world. This book is accessible and easy to understand, and it has many illustrative example. It leaves you with a sense of how much more can be done, which takes the edge off how much of a bummer the topic is in general. Normally when someone tells me “you HAVE to read this book!” I actively avoid it because I’m stubborn like that. But the person who told me I that I had to read this book was good enough to acknowledge that while this is annoying and say she would normally never do that, THIS book was the exception. Sufficiently intrigued, I impulse purchased this book, despite my blanket ban on Oprah books (Oprah isn’t the boss of me!). Long story short: I’m glad I rose above my own BS and read this book because I was smitten with it. It’s hard to say what this book isn’t about. It’s about Glennon’s life. But it’s about so much more. It’s about all of our lives, and everything. (Mostly her life though, if we are getting literal about it.) This book is sweet and funny and touching, and reads like Glennon is talking right to you. It got me right in the feels and definitely made me tear up at times and I’m not one to cry at books. I didn’t expect to relate to Glennon’s story so much since I am not a Mom and I haven’t struggled with addiction or eating disorders. But the themes that run though are universal. But I believe that one of the best ways to build empathy is just to learn other people’s stories, especially when they aren’t ‘like us’. This was another nice surprise. I wanted to read this because I love Trevor Noah and I think he’s hilarious and insightful, and so I picked this book up so I could laugh and be jolly. But I was totally taken aback by how much I underestimated this guy, all while thinking he was great (I didn’t even know that was possible?). Basically, this book blew my mind. I learned much more than I expected to and was very pleasantly surprised. One of my standards for whether a book is one of my faves is how often I think of it after reading it. 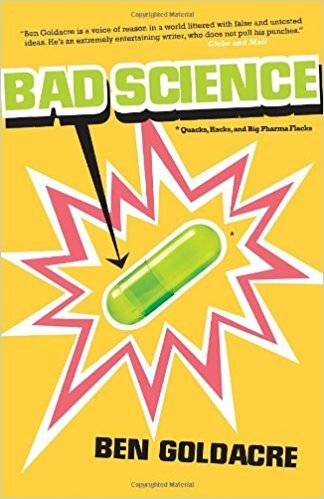 Guys, I think of this book VERY often, and not only while watching The Daily Show. Now I love Trevor Noah double as much as I did before this book, but mostly his Mom is now my spirit animal. Speaking of reading stories about people who aren’t me (or you, I assume), the two essays in this book are written to Ta-Nehisi Coates’ son about the experience of becoming a black man in America. As much as these are important insights for young black men, I think white people need to seriously consider reading this book. Because of the huge value in reading about other people’s lives. It’s not an easy read at times - he is a serious writer and the material is heavy. So, it’s important. If you imagine yourself in someone else’s shoes, this will expand your perspective on the world we live in. And if you are in denial about the state of anti black racism in America you will find this book challenging in ways you may not enjoy, in which case you should probably read it. Coates is an influential right now guy, he’s very smart and doing important things that are both inspiring and annoying people, and he still finds the time to explain very simple concepts to white folks in terms they can understand. I think I stumbled upon Luvvie through a Facebook post by my friend Brigid (Huge Thanks, dude!). I was like “I LOVE this woman! !” and so I put her book on hold at the library. I was in a long queue, which is both super annoying and a great omen that the book will be amazing. My hold came up right before we went away and I thought “This will be great travel reading!” Very serendipitous! Unfortunately it was a little too funny and insightful and I spent a considerable amount of energy trying not to laugh out loud on the plane and make myself look crazy. Luvvie’s observations about society and the world and how we can all do better (hence the title) are equal parts funny and informative, much like Trevor Noah’s book. Luvvie also has a TED talk, which is great and she churns out blog posts as fast as Trump tweets (i.e. hella fast). If you want to do better, follow Luvvie, she will light up your life and your smile. You may know Chimamanda from Beyoncé’s ***Flawless (she is the one talking about feminism in the middle of the song, which is a clip from her TED Talk). But she is so much more than Beyoncé’s sometime’s muse. Chimananda is an excellent writer and compelling speaker. Americanah is about a Nigerian woman who moves to America for college and eventually starts a successful blog. And all the adventures and trials and tribulations that go along with that. In addition to being a well written and interesting novel, it has so many insights into race and identity in America - for example, in Africa people identify with their ethnicity or nationality, and in the U.S. if you have dark skin you are black. If you’re not feeling like ready some smart pants academic works like those written by Ta-Nehisi Coates, this novel gives a similar perspective on race and identity in a more easily digestible way. Interestingly, I decided, at random, to read this book at the same time as Luvvie’s book. Luvvie just so happens to be of Nigerian descent and writes a successful blog. Crazy, right!? I love synchronicity so that made reading these two books extra fun for me. I’ve been a big fan of Gretchen’s since reading The Happiness Project and so was excited to read this new(ish) book of hers, but then actively avoided it for a while. I’m pretty sure I agree with Gretchen all the time, which actually made me less excited for this book. I prefer having my mind blown with new information, rather than always having my own worldview confirmed (though that can also be nice from time to time). I talked myself into reading it because I knew it would be useful for work, seeing as many people struggle with establishing and maintaining habits (and it is - I use her Four Tendencies framework from time to time, and now she has a new book just about that!). Because I had just finished reading a book I really didn’t like (too much challenge to my worldview AND it was hella boring! Jeez!) so this was a safe bet for an enjoyable read. I love Gretchen’s writing because she weaves in her own personal stories with a ton of research. I admire the way she admits her own shortcomings - for example, that her zeal for certain subjects makes her a bit of a blowhard about it, like peer pressuring her family into trying out her ideas (I can relate lol!). The main argument in the book is that he crisis of mass incarceration in the United States is a deliberate and well designed system of social control for young black men in particular, and racial minorities in general, that was established to replace the Jim Crow laws that were designed to keep blacks as second class citizens (leading to the Civil Rights movement of the 60s). I know it sounds like a crazy conspiracy when you put it that way - and she knows too, and speaks to this right away. She breaks this whole huge and complex topic down in such a solid way that she actually manages to overcome objections you might have to her logic as you’re reading (which is creepy smart). This will not be an easy read for anyone who believes the criminal justice system working the way it should - fairly and without bias. If you’ve noticed that things seems a little unfair and lopsided, and wants to know more about what’s up with that - why is it that way, and how does it happen - then you’ll get a lot out of reading this book. In September, my family and I travelled to Malta, where my Dad was born and has never visited since he left at 4 years old. Crazy, right?! I bought this book while on vacation in Malta, in the shop on the giant ferry to Gozo (the ‘other’ inhabited island that is part of Malta). It’s a great souvenir because each time I pick it up I think “I bought this on a boat in Malta!” which is fun. I have a real soft spot for historical fiction, and so I spent my euros on this book in the hopes of both being entertained and learning more about the history of Malta. Happily it delivered on both sides. Actually it over delivered on the history side, as I learned a bunch of stuff about the Ottoman Empire and how grossly violent old timey warfarin’ was in the 16th century (Hoops of fire! Human head cannonballs!). But of course, there is an epic love story throughout, which helps soften the violent bits. Like all good historical fiction, I spent way too much time on Wikipedia finding out ‘Is that really true?’ and so I now feel like I know a lot more about Malta, which fills me with warm fuzzies. It was a very interesting read, and apparently quite accurate as well! If you want to do a deep dive into your own mortality and the subject of death in general, this book is for you. And if that sounds awful, the perhaps this book is also for you? I mean, it’s a wee bit unavoidable. Being born and dying are the only experiences that every single human will definitely share with one another. That’s kind of cool! This is the story of the author’s life and death. He just finished the book before he died and the afterword is written by his widow. It’s an amazing story, and yes it is sad, but it’s worth the tears. I’m with the Stoics on the point that the more you reflect on the fact that you too will die one day, the more grateful you will be for your life. And Paul’s story is a good example of why being an active part of your own dying, when that’s possible, is empowering and good. This book also makes a great birthday gift for a friend of yours who struggles with the idea of their own mortality, according to me, who did just that a couple of months ago. Its okay for birthday presents can been deep and challenging. There I said it. Krista-Scott Dixon is one of my favourite people in the world who I have never met (yet!). She was one of my excellent coaches in my Precision Nutrition Level II Certification. Krista is a super smarty pants who is hilarious and kind and an amazing coach. In my intake form for the course, I quoted The Simpsons and in her response SHE FINISHED THE QUOTE. Okay, I am spiralling into fangirl territory now. As I tend to be both interested and stressed out by food and money in various configurations I thought “Hey! This book is for me!”. I found out about Geneen Roth from Krista’s book, from the list of recommended readings. Geneen mostly writes and talks about disordered eating, food addiction and emotional eating - all juicy and interesting topics. Then she lost all her money to Bernie Madoff’s Ponzi scheme. Plot twist! The book is all about the lessons she’s learned about her relationship with money and how they parallel her relationship to food. It makes total sense to me, considering how ubiquitous each is in our (western) lives. It’s a personal account with some education thrown in, which as you probably know by now, is one of my fave ways to learn. I enjoy the way she writes and look forward to reading some of her other books too. He will alienate some people with his intense commitment to pooping all over homeopathy (presented as an ‘illustrative example’ that goes on and on and on for large chunks of the book). It’s true that there is no evidence that homeopathy (and you can include most other ‘alternative’ modalities here) actually ‘works’. However, how much research has even been done (very little, which he speaks to) and so how can we draw conclusions from a lack of data? Maybe we should get more data instead of looking back and being like ‘there’s no evidence, the end’. Bright spots include providing an amazing breakdown of how the anti-vaccine movement came to be (as well as the anti-AIDS treatment movement in Africa, which blew my mind!). I truly learned a lot of new things, which I appreciate. Reading this wasn’t enjoyable as I wanted to punch him in the face a lot, but I still think it’s an important book. Fun fact: I got this book for free at a book swap in honour of World Book Day that I learned about on Instagram (the internet does, in fact, do good things from time to time). If you’re not down for this level of literary challenge (perhaps you already have people in your life whom you’d like to punch in the face, this article does a great job of providing a quick overview of how to think critically about science, and I don’t remember wanting to punch her. I read this book precisely because I expected to disagree with the arguments presented. As I said, I think it’s important to get into the perspectives of people that we want to punch in the face, for purposes of learning more about the world and how to sit in anger without actually punching anyone (i.e. mindfulness). But I have to say I was pretty impressed with many of the arguments and how practical they were, compared to many self improvement rhetoric which is just SO extra when it comes to ultra positivity and plain silliness (like manifesting luxury cars, and being grateful for the really awful things that happen to you). That being said, there were some parts where he was reaching so hard to make a point I was afraid he would fall off his chair. In those moments it felt like at least part of his motivation to write the book was just to be ‘that guy’ who is like “Whatever the popular thing is, I’m 100% against it!”. Just because the thing you’re arguing against has obvious flaws, doesn’t automatically give the opposite point of view merit just because it’s the opposite. These are a few of my favourite books from 2017. Thanks for reading my blog about reading, which is very meta, and so I’ll close with some words of encouragement: Pick up a book and start reading! P.S. Let me know about your fave books, and what you think of any of the books on this list if you read 'em!